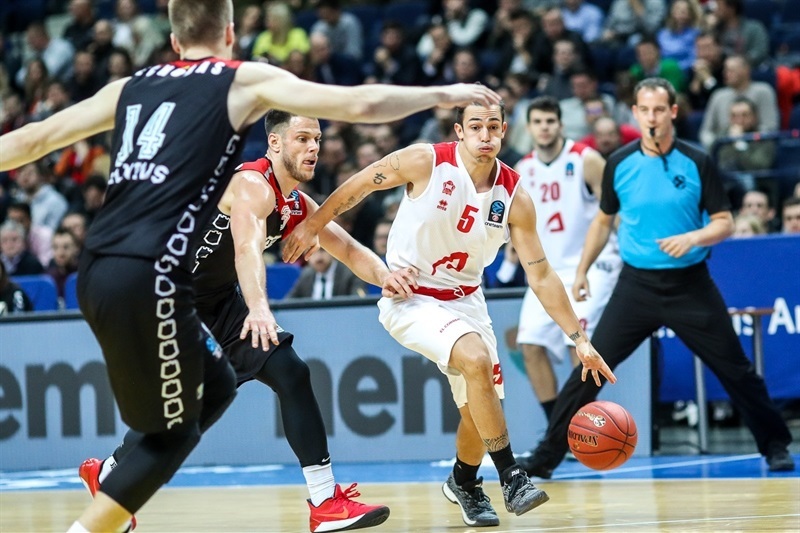 Dejan Todorovic poured in 20 points as RETAbet Bilbao Basket opened its 7DAYS EuroCup season with a 83-93 road victory over Lietuvos Rytas Vilnius in Group C on Wednesday. 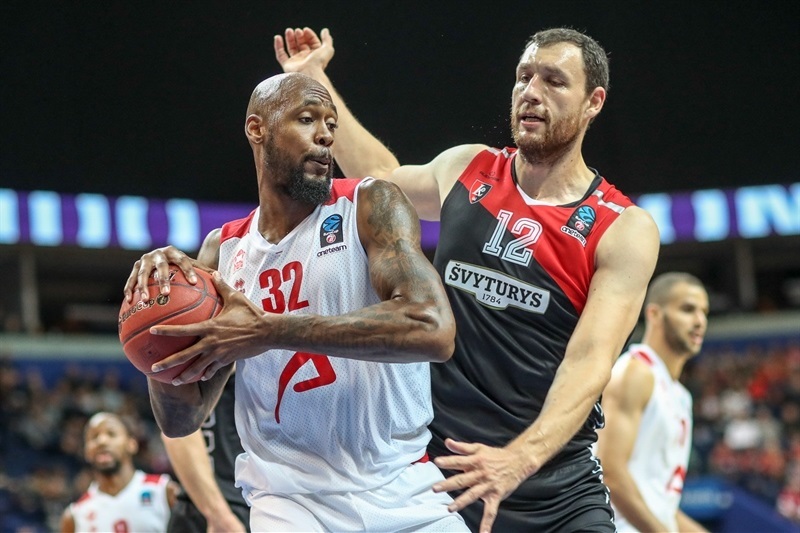 RETAbet nearly blew a 19-point third quarter lead with Rytas cutting the gap to 4 points in the final stages. But the veteran presence on the Spanish team proved crucial in the end. 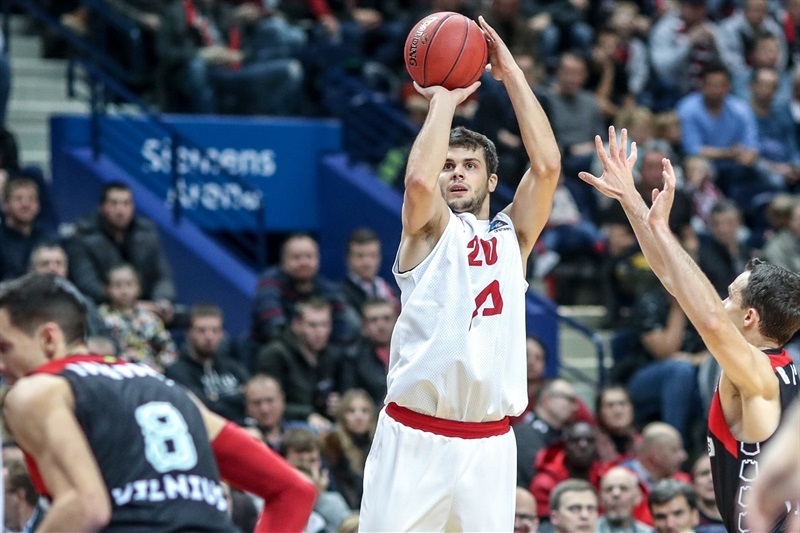 Axel Hervelle chipped in 13 points for RETAbet, which knocked down 25 of 28 free throws. 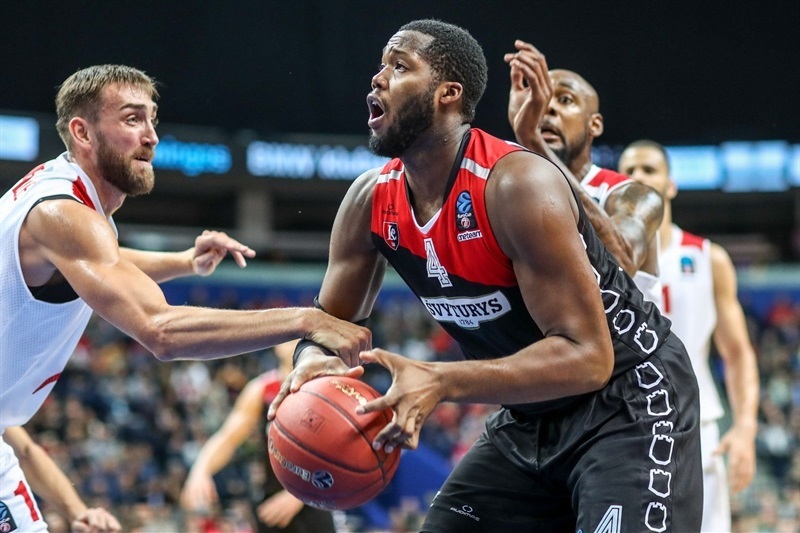 Mickell Gladness had 12 points, Pere Tomas added 11 and Tim Kempton and Jonathan Tabu both hit for 10 for the winners. 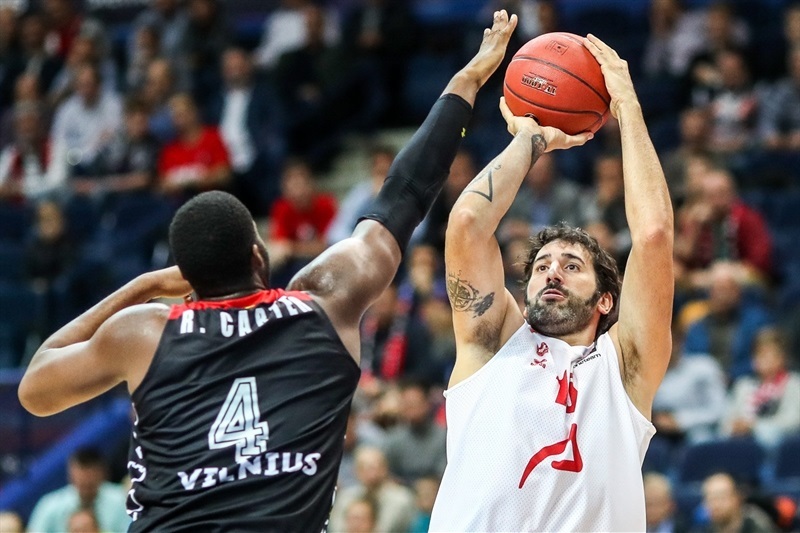 Loukas Mavrokefalidis and Jimmy Baron both tallied 15 points for Rytas with Robert Carter hitting for 12 points and Marc Carter adding 10 points in the loss. 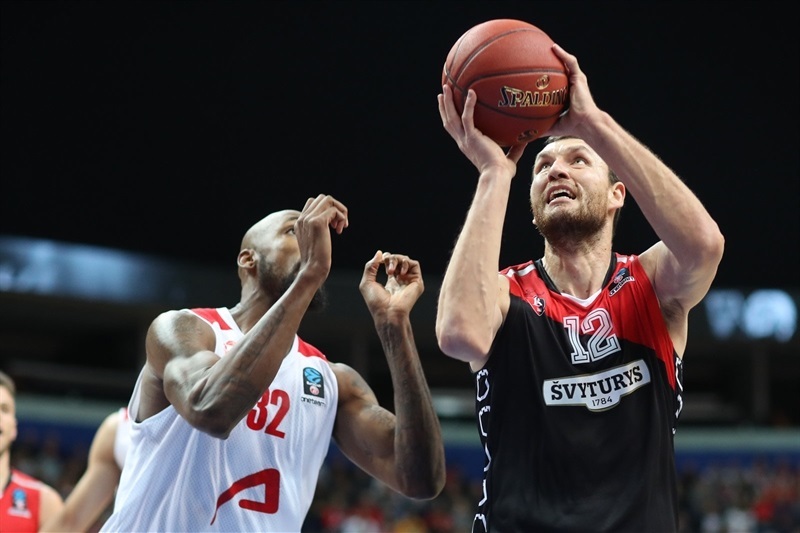 Rytas veteran Mavrokefalidis picked up 6 points in the opening minutes for an 8-4 lead. Hervelle and Tomas both had 5 points for RETAbet before Baron hit 7 points in 59 seconds for the hosts, who still trailed 25-26 after one quarter. 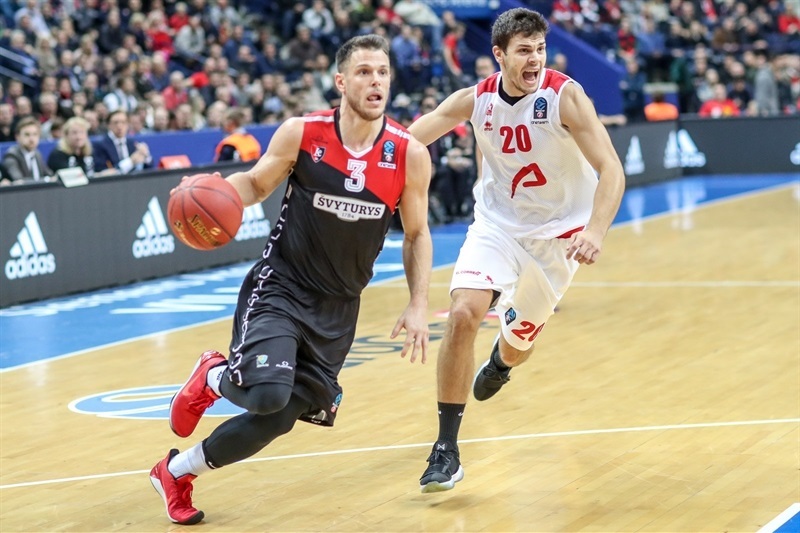 Todorovic scored 9 points in the second quarter, including 6 in a 3-15 spurt as RETAbet raced away for a 14-point lead. The road side led 36-48 at halftime. Todorovic came out of the break with the first 5 points in pushing the cushion to 36-55. 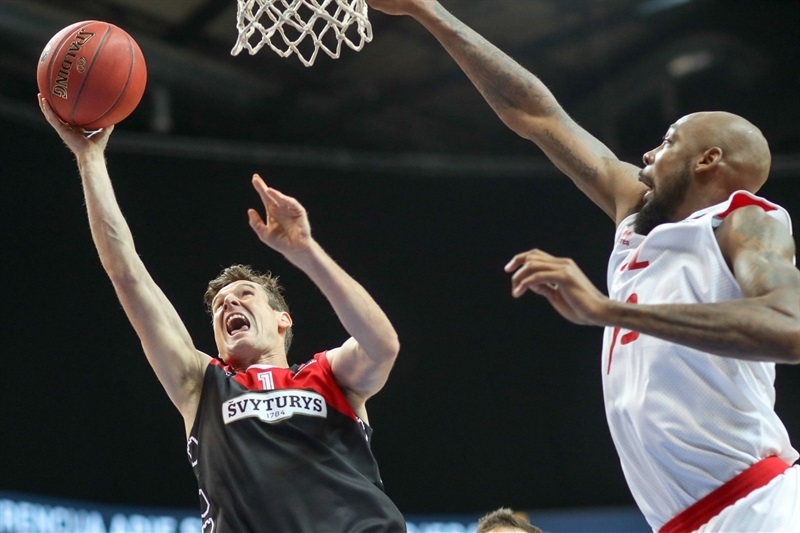 Two three-pointers by both Baron and Mindaugas Lukauskis reeled Rytas back into the game at 56-65. But RETAbet finished the quarter strong with a Tomas three-pointer making it 59-74 after 30 minutes. Chris Kramer nailed a three-ball to start the fourth quarter and added another basket and 5 straight points from Marc Carter cut the margin to 75-79 with 5 minutes left. RETAbet was able to push the gap back to 9 points with 2 minutes to play on big baskets from veterans Alex Mumbru and Hervelle. And Mumbru nailed a long three-pointer to seal the deal in the final minute. 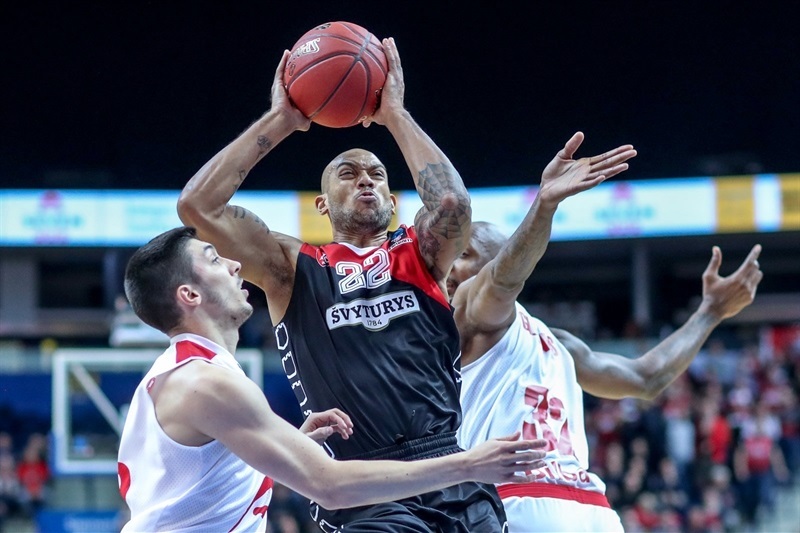 RETAbet will host Limoges CSP next week in Round 2 while Rytas head to Serbia to take on Partizan NIS Belgrade.